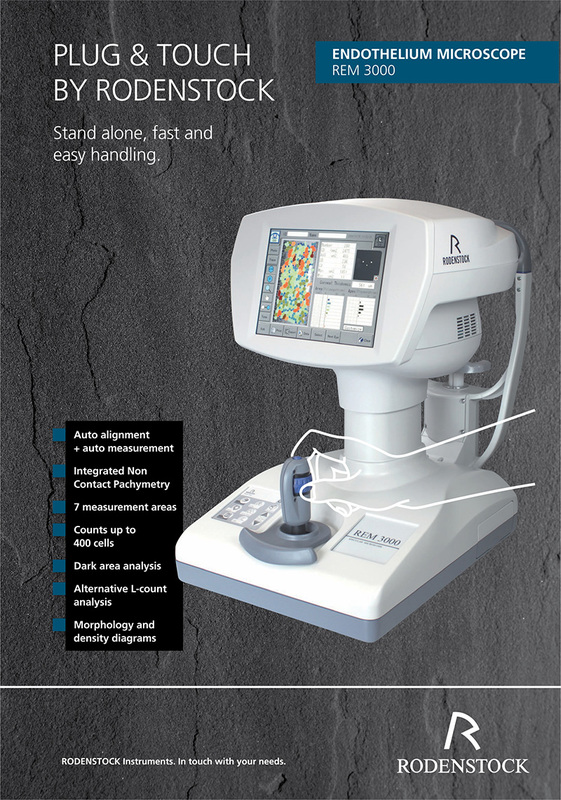 Non contact examination, auto alignment and measurement plus automatic analysis of the endothelium layer make working with the REM 3000 professional and quick. The integrated Non contact Pachymetry will be automatically measured with every central examination. 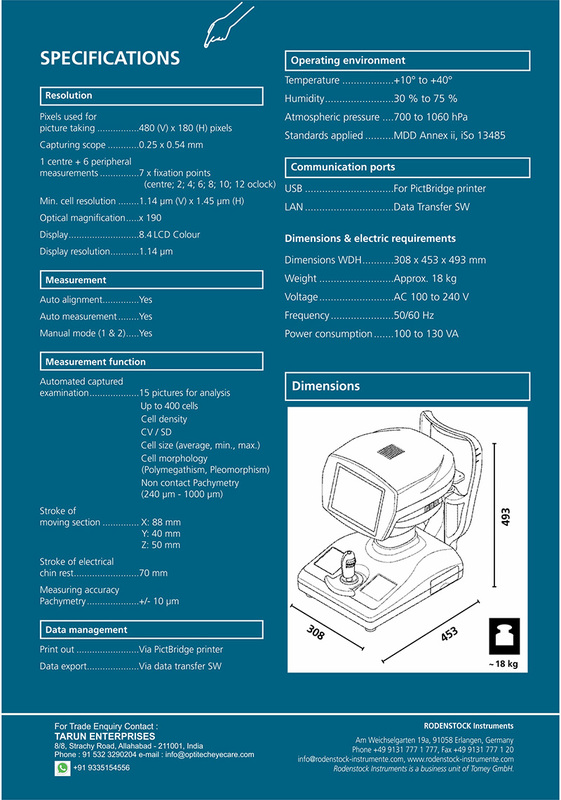 The big color touch screen is used as an operating monitor as well as for displaying all measured values. All commands can be given via touch screen.